We integrate three techniques, bioacoustics (call), niche modeling and DNA barcoding as a test case to investigate how the combination of these methods can enhance search efficiency for previously unknown populations, especially for those species that are threatened. 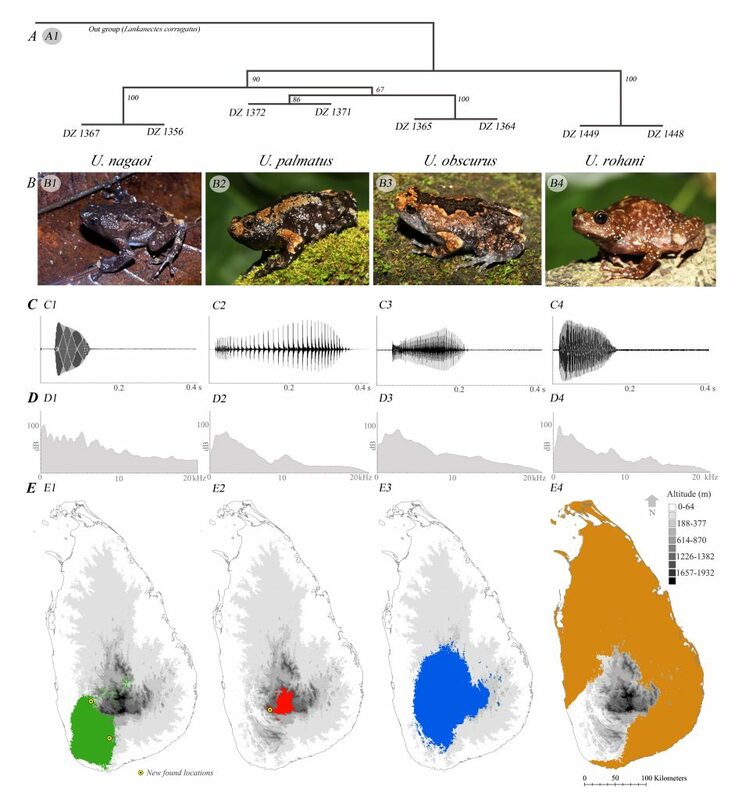 As a focal group, we considered a clade in the genus Uperodon earlier referred to as Ramanella, represented by four endemic species in Sri Lanka. The work published in the journal Global Ecology and Conservation.